Topic: New Story: Johnson on looming QB competition: "It's why we all came here"
New Story: Johnson on looming QB competition: "It's why we all came here"
Hunter Johnson on looming QB competition: "It's why we all came here"
Re: New Story: Hunter Johnson on looming QB competition: "It's why we call came here"
What three good quarterbacks are you talking about David? More like struggling to be average. We feel you Coot! ?? LOL coots ain't very smart when it comes to cloaking. In my opinion, Johnson is clearly better than Cooper. No comparison, really. But, coaches say cooper looks better in practice..... and that matters more then what they actually look like in real time game action??? Johnson has looked much more comfortable then cooper the limited times they have been in the game. If HJ had gone in for KB after his injury at Syracuse, there is little doubt in my mind that we would be undefeated! ZK is better in practice! Practice? Practice? Yeesh! Is anyone else troubled by the reporter asking Johnson if he planned to transfer to a different school based on rumors from Tigernet? It seems very irresponsible and leading to ask that question based on an Internet posting. I'm bringing you to 70k for this comment alone... let me find some posts!! It is good to be us. Go tigers! But yea, shouldn't had went there. Re: New Story: Johnson on looming QB competition: "It's why we all came here"
Best stable of QBs in college football, hands down. Tigers blessed beyond belief. I was thinking today. It's funny so many people are not happy with how the BACKUP QB situation has been handled...myself included. Tbh I think Johnson is the best QB we have at the moment period but that is beside the point. I can remember not too long ago we as fans having actual worries. Hoping to win 8 games for a decent bowl. Now we really are spoiled. Kudos to the coaching staff for putting together a roster of players any team would want. And a group of young men we can all be proud of. I predict it is going to be pandemonium on this message board at the beginning of next season. Which pro scout was it who said TL could be starting for many, if not most, NFL teams right now? But does anyone think TL will start our opener next year? Put on your seat belt and pop some popcorn. Next September will be interesting. To heck with September. The spring game will have FIVE quarterbacks fighting for playing time. 3-4 stars and 2-5 stars. I can't wait to be there to watch it. Out of the 4, I could see Cooper transferring simply because he is competing with the returning starter in Bryant, as well against TL and HJ. Brice is a winner as well. TONS of weapons coming back next year as well. We are in a time where Clemson is competing for the National Championship every year. Thanks Dabo. Well, this mostly answers my earlier question on our embarrassment of riches at the QB position. Hunter seems to be all in on staying and competing for the #1 QB slot next year, Bryant should return,Cooper, Brice, Israel,TL on the way. Good grief is that loaded folks! Most places struggle at the backup QB slot and we have 4-5 stars battling for position, the future does indeed look very good for the Tigers from the REAL Death Valley. I continue to see rumors of BV for a HC position but in truth I am not worried, he seems to love being at Clemson as does his family, loves what he does and does not seem to be a move around kind of guy. Both his boys will be at Clemson so in truth I do not see him leaving till they graduate if at all. Stability at the Coaches positions is very important and it seems like under Dabo that is a priority, recruits love knowing the guys that recruit them will be there once they arrive. Toss in the great Upstate area and who could want more , I know Clemson and the surrounding area is why I moved here. BV isn't going anywhere. His son Jake will be coming in 2018 and his younger son Tyler just got a Clemson offer as a sophomore, and he is as talented as Jake. No, Brent has the perfect situation at Clemson and I think ALL of us are happy he is here. I agree, that said his name comes up often for HC jobs. I posted why I am not worried at all about BV moving on, I do think he is well aware the grass is not always greener and the sky is not always bluer. Sometimes you find a place that fits all your needs and there is no need to move on, I really think that for BV, he has found Clemson is that place. 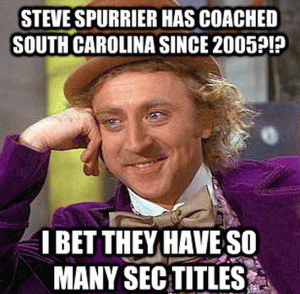 Same goes for Dabo and all the Bama fan talk of him leaving once Saban retires. Nobody in the right mind would want to replace a legend, you may want to be the guy that replaces the guy that replaced a legend. Plus, Clemson is Dabo's , he built it to what it is currently and has it on a sustainably path to success. He has built a legacy here, in his own vision and not many HC's get that in their professional life. We are very lucky to have all of our staff to include Scelliot as O coords. This continuity is why the recruiting pipeline is bringing in the talent each year to Clemson. dollars a year and don't desire 3 million and the stress that goes with it. HJ is clearly a better passer than KB or ZC. Maybe best QB. HJ has basically thrown perfect passes with perfect placement, giving receivers the best opportunity for yards-after-the-catch every time that he's been in a game. He's smartly thrown 2 passes away. Meanwhile ZC is a crappy passer. KB is mediocre. Those guys are inaccurate, or if they get the ball to the receiver, the placement doesn't allow YAC. Too often, KB fails to target (either by choice or inability to see) open deep receivers, opting to throw to a shorter receiver or just to run. So KB's PERCENTAGE numbers aren't bad, but his yards-per-completion numbers and passing TDs are very underwhelming. One can't help but wonder what this team full of future-NFL WRs & RBs would like like if HJ had started game 1 or at least had started vs. Syracuse. Re: HJ is clearly a better passer than KB or ZC. Maybe best QB. With that attitude, we have a winner in the wings. watch HJ come in and be perfect only to see KB get the start the next week and claearly struggle. We are in great shape but I can't help but wonder what would happen if the better QB was in there. I know my blood pressure would not be as high every game. KB is 10-1 as a starter. His only loss is when he was hurt and left the game early. If that's mediocre, I'll take it. Hope he has a great career! Dabo doesn't play 5 star recruits because he knows he can't keep bringing them in so instead he uses them to push his stable of 3 and 4 star players. The only exception is Defensive Tackle. That is one position you can't fake it till you make it. Cooper threw into double coverage on all of his deep throws. He basically threw it up for grabs on his big play. Hunter Johnson make the best read on each of his throws. Johnson also has the best deep ball. Much better than KB.